The current ISBN–13 is prefixed by “978” or “979” indicating that the numbers which follow constitute an ISBN for a book. The single digit identifies a national or geographic grouping of publishers. In this example, the 1 indicates the book is part of the English language group of territories: US, UK, CA, AU, NZ. The third group of numerals identifies a particular publisher. 940313- is Inferno Publishing Company. The fourth set of numbers identifies a particular title or edition. The single digit at the end of the ISBN is a check digit which validates the ISBN. It is possible to identify how many ISBNs a publisher purchased in that block. The numerals following the country code are always “692” with a single ISBN purchase. This applies even when purchased from CreateSpace. Blocks of 10 are likely a self-published author. Blocks of 100 may be a small publisher, and blocks of 1,000 or more are obviously a publisher. Authors who are not trying to place their books in stores, libraries, or with wholesales do not need an ISBN. However, if you plan to sell your book in bookstores, to libraries, or through online retailers like Amazon.com, you will need an ISBN. For digital imprints (ebooks and Kindle) ISBNs are not required, however they are recommended for ebooks. This ISBN can be used with any publisher. The author can chose the book’s imprint of record and that imprint will be reflected on Amazon.com’s website in the book’s detail page. Provide an ISBN Purchased from Bowker. The book can be distributed through Amazon.com, Amazon’s European websites, an eStore, and some expanded distribution channels. 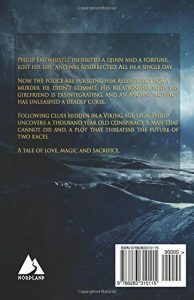 Indies compete with traditional publishing on all fronts, so having ISBNs with a company listed as the publisher of record—not CreateSpace, Smashwords, or Lulu, give the book a more professional appearance. BEWARE of offers from other sources to purchase single ISBNs at special offer prices. These are unauthorized re-sellers and this activity is a violation of the ISBN standard and industry practice. Publishers with re-assigned ISBNs will not be correctly identified as the publisher of record in Books In Print or any of the industry databases. This can also result in a bit of embarrassment for a self published author whose book, The Adventures of Benjamin Bad Kitten, ends up with a house that specializes in erotica being listed as the publisher of record. Can I get a free ISBN now and upgrade later? Yes. But, switching ISBNs will impact the book’s sales ranking and reviews on the various vendor sites. Because the ISBN is your book, getting a new one after using one provided by a distributor will effectively start your book back at zero. How many ISBN’s should I buy and what do they cost? The least economical choice is to buy a single ISBN. Each format, binding, or edition of a book must have a separate ISBN (i.e. 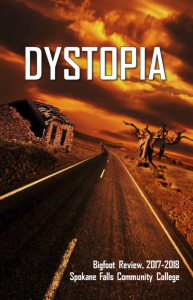 hardcover, paperbound, e-book, audio book, etc). A single ISBN costs $125, while 10 ISBNs cost $295, 100 cost $575, and 1000 cost $1000. If an author only plans to publish one book, it’s wise to purchase a block of 10 ISBNs. If the intent is to publish multiple books, a block of 100 ISBNs would be a wise investment. Prior to publishing, a book’s ISBN needs to be registered with R.R. Bowker as the database of record for the ISBN Agency. After filling out the necessary forms on the Bowker website the book will be listed in Books in Print. Is an ISBN the same as a barcode? No. 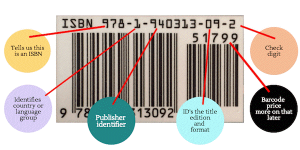 But, ISBN’s can be translated into a compatible barcode format. A barcode is only necessary if you plan to sell your book in bookstores because barcode scanning is a required step for many retailers. Barcodes often contain information on the book’s price. Publishers who wish to have their ISBNs translated into worldwide compatible barcodes can make their request online at www.isbn.org or www.bowkerbarcode.com. If I get an ISBN does that mean my work is copyrighted? No. Obtaining an ISBN does not mean the book is copyrighted. A copyright is exclusive legal right to the creator of original works to print, publish, perform, or record literary works. Work is copyrighted the minute it’s created. However, to protect your copyright, it must be registered with the U.S. Copyright office, which costs $35. Copyright is administered by the Library of Congress and is an extension of intellectual property law. The Library of Congress assigns a number to every publication it will acquire. A LCCN can be requested by U.S. publishers prior to publication. Unlike a copyright, you do not have to pay to register the LCCN but the publisher must send a copy of the book to the Library of Congress upon publication. Expendable educational materials: laboratory manuals, teachers’ manuals, programmed instruction test sheets, workbooks, activity books, etc. Transitory or consumable materials: trade catalogs, telephone books, calendars, coloring books, comic books, cutout books, etc. CreateSpace offers assistance in obtaining a LCCN for a $25.00 fee. They complete the LCCN application on your behalf and submit a copy of the book to the Library of Congress to be considered for cataloging. Be advised that the LCCN Assignment service must be purchased before approving the final proof. After the proof has been approved the book is no longer eligible. Note: Submission for cataloging does not guarantee acceptance into the Library of Congress. To find out if you book has been cataloged check the Library of Congress Online Catalog. I was looking at some of your articles on this website and I believe this is very instructive! Continue posting.